Fantastic single-family, raised-ranch, in quiet Aurora neighborhood! Covered front porch welcomes you to your 4 bedroom, 3 bathroom home. Main level has hardwood/carpet mix, formal Study with double French doors, formal Dining Room. Spacious Family a room with gas fireplace opens to Kitchen and casual dining area. 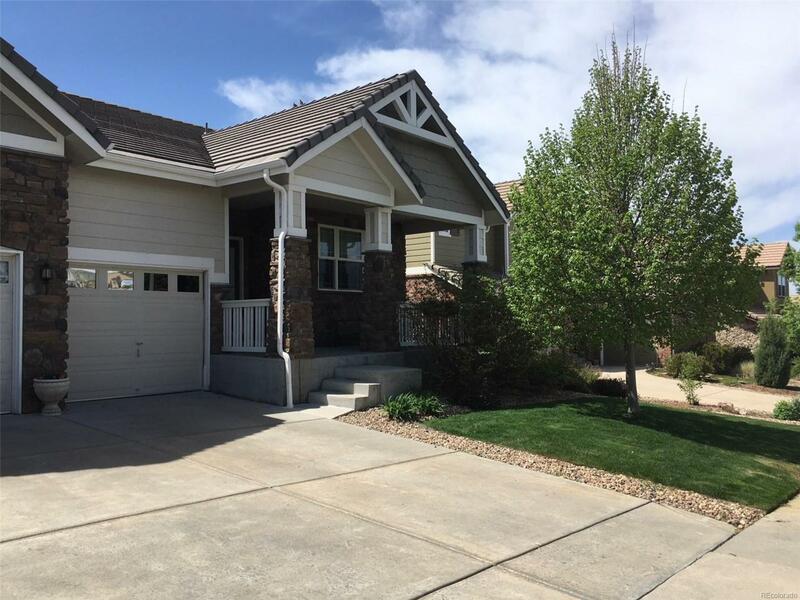 Beautiful updated Kitchen features granite-slab counter tops, stainless-steel appliances with double ovens, and large center island with additional storage x4. Main-floor Master with private 5-piece bathroom and his/her closets. Unfinished basement (except for 1 finished bedroom), is ready for your personal touch! Lots of room-full footprint up main level! Entertain in the back yard with stamped concrete pathway and patio for a grill and patio furniture!